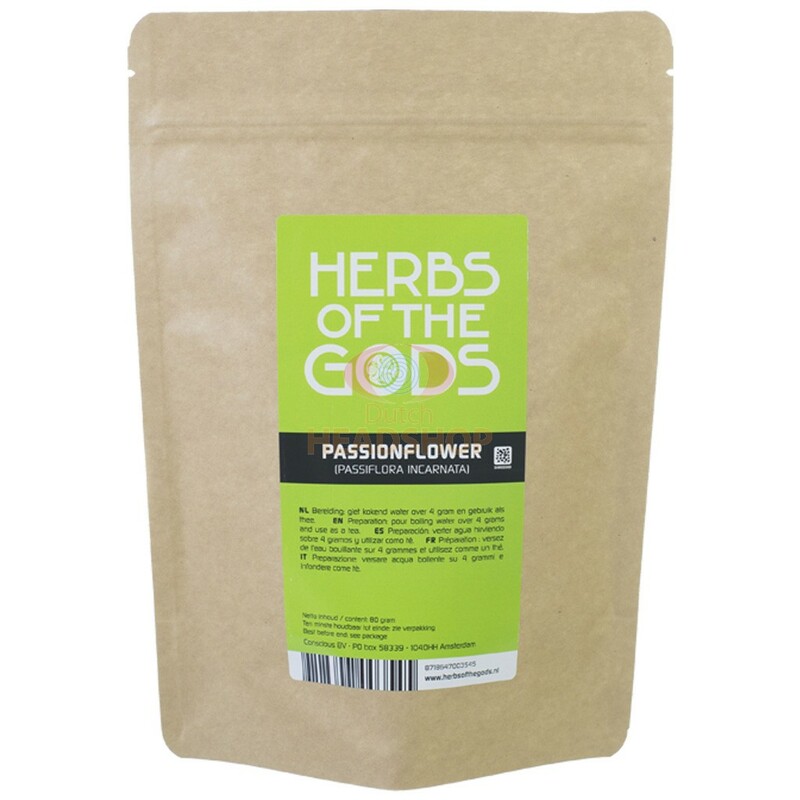 Passionflower is a herb that will provide you with a good night's rest and relaxation to your body. It has a positive effect on your sleep behavior. The herb has a number of characteristics that are very important. 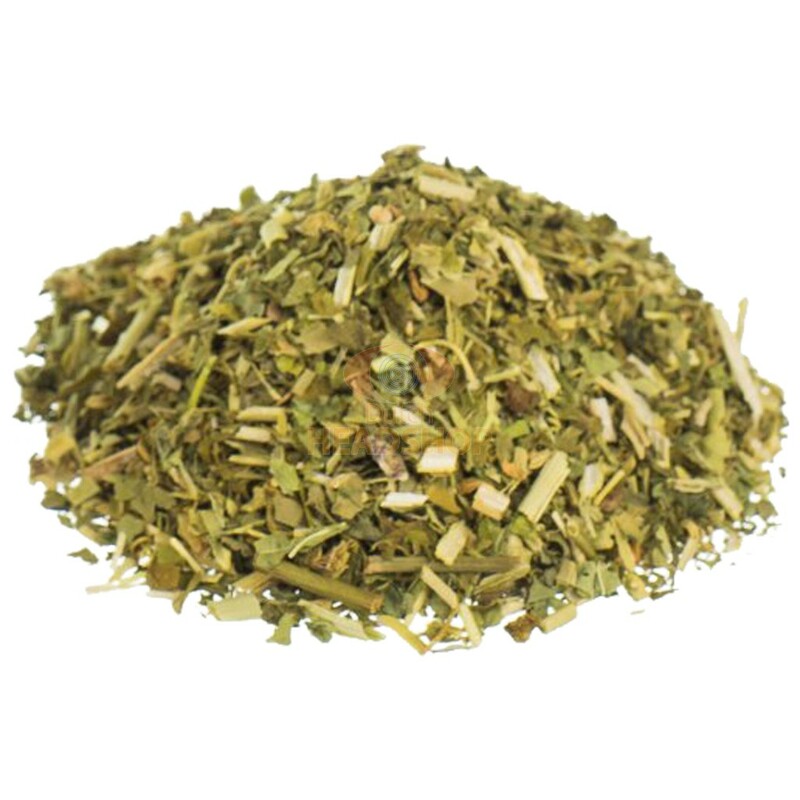 For example, the herb is suitable to steep tea from, it can work hallucinating and it helps against anxiety attacks. You can also smoke this herb with a vaporizer or a weed pipe. It is recommended to start with a small dose, as little is known about the exact dose. Passion flower (Herbs of the gods), also known by its Latin name Passiflora Incarnata, is a herb that give you better sleep quality and relaxation. Furthermore, the herb can be lightly hallucinating at high doses. Can work against anxiety attacks. This herb can be used to make tea from. Just add a few grams to a cup of steaming hot water. 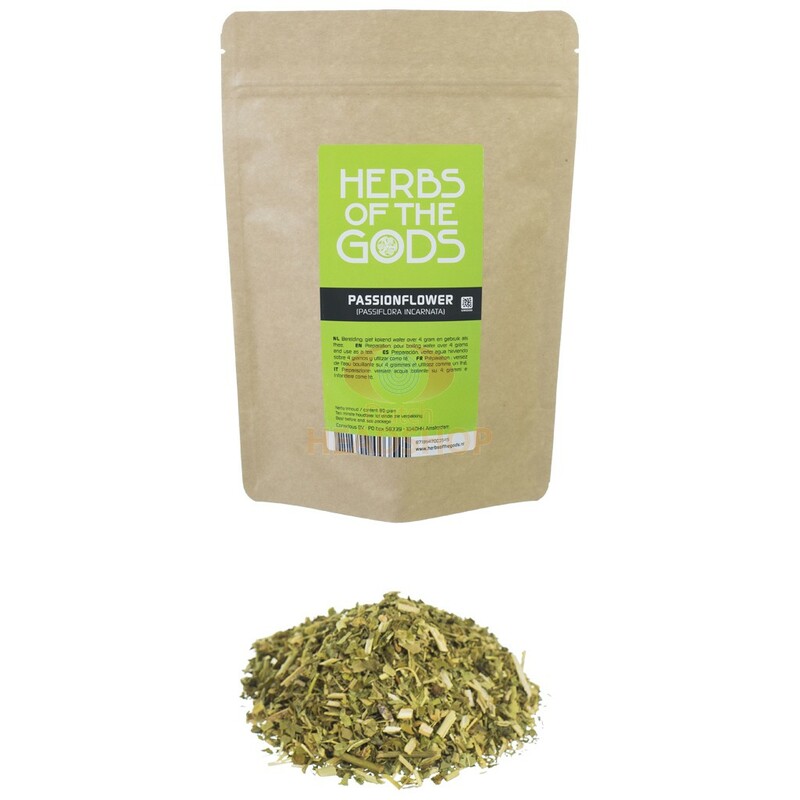 It becomes a relaxing tea that can also prove effective against anxiety attacks. Recommended is to use no more than 4 cups of Passion flower tea per day. You can also smoke this herb. For example, by means of a vaporizer of marijuana pipe. Unfortunately, little is known about the precise dosage when using a marijuana pipe or vaporizer. We therefore advice to start with a small dose. The Passion flower has been used for centuries during the times of the Mayas and the Incas. They used the Passion flower as a medicine against nerve pains and restlessness. The Mayas also used the passion flower as a sedative and blood purifying medicine. Add 2 grams to boiling hot water. (About 150ml) Then let it steep for half an hour. Do not drink more than 4 cups a day. If you want a lightly hallucinating effect, then add 15 grams of passion flower to boiling water. It is recommended to refrain from driving a car and operating machines after using it. Do not use when pregnant and/or breastfeeding. Passionflower shredded contains 80 grams. Order the product only if it is legal in the country where you reside. We cannot ship this product to Bosnia and Herzegowina, Cyprus, Malta, Norway, & United Kingdom. Do not use during pregnancy or lactation. Do not combine with MAO inhibitors, drugs, stimulants, alcohol or other psychoactive products. Not for persons under 18 years. Keep out of reach of children. store at a Cool and dry place. An MAO inhibitor like this one has a number of special effects, in particular with other foods or agents. Be sure to read the disclaimer before using these products. In principle, MAO inhibitors can be safely combined with hallucinating mushrooms and certain psychoactive compounds. To do this, you need enough experience and it is crucial to take it in the right ratios. It is recommended to follow these instructions. Het combineren van MAO-remmers kan heel gevaarlijk zijn. Het nemen van MAO-remmers in combinatie met verkeerde psychedelica of bepaalde etenswaren kan leiden tot gevaren. Duizeligheid of hevige hoofdpijn kunnen bijvoorbeeld nadelige gevolgen zijn. Combinaties die heel gevaarlijk zijn kunnen zelfs bewusteloosheid of overlijden tot gevolg hebben. Antidepressants containing Selective Serotonin Reuptake Inhibitors (SSRIs), such as the herb Kanna (Sceletium tortuosum) and pills such as paroxetine (Seroxat), fluoxetine (Prozac), citalopram (Cipramil), fluvoxamine (Fevarin) and sertraline (Zoloft). Garden beans, soybeans, pods, lentils etc. First of all, it is not recommended to use psychoactive products frequently. Psychoactive substances are definitely not an escape from reality. Before you decide to use such a product, always read the label and the manual first. In some cases, it is not responsible to use psychoactive products. Do not use psychedelics when you are depressed, have anxieties or are stressed. If you have a medical condition or use prescribed medication (MAO inhibitors, SSRIs, etc. ), it is advisable to first contact your physician. LSA, mescaline cacti, truffles of magic mushrooms and other psychedelics should definitely not be mixed. We recommend not to combine psychedelics with MAO inhibitors like chocolate, Peganum harmala, Banisteriopsis caapi, Passion flower and Yohimbe. The effects can reinforce each other uncontrollably and this can be life-threatening. Furthermore, smart drugs are not suitable for geriatric or psychiatric patients using antidepressants or any other MAO inhibitors. When using medication, it is essential to consult your physician. Ingestion in combination with MAO inhibitors or medication for asthma, is certainly irresponsible. In any case, carefully read the manual before using smart drugs.